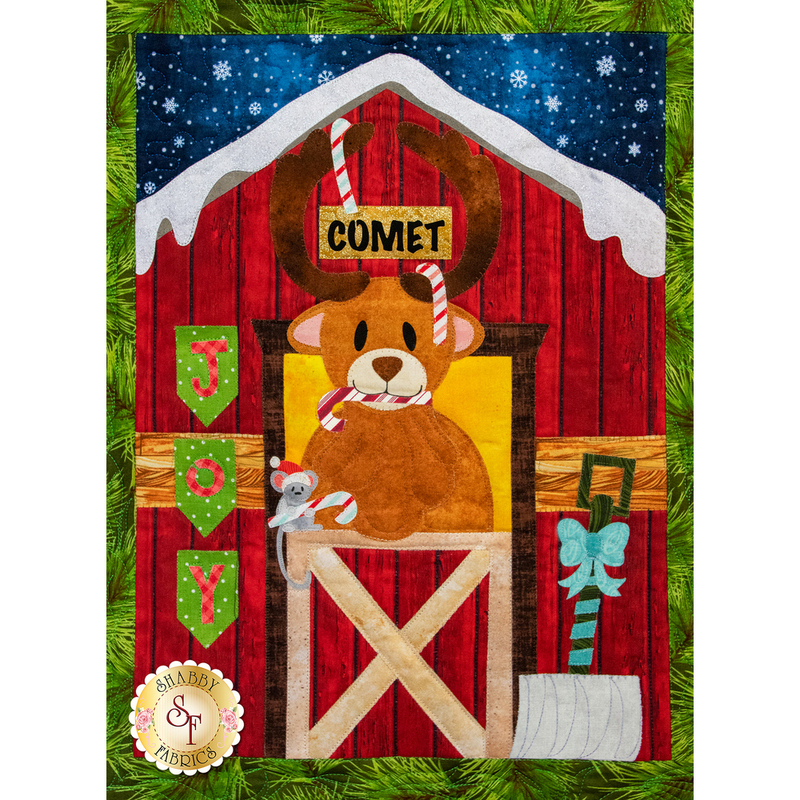 Little ones will delight in seeing Santa’s reindeer with gifts, candy canes, and Christmas decorations! Can you find the cute and curious mouse hiding in each magical block? 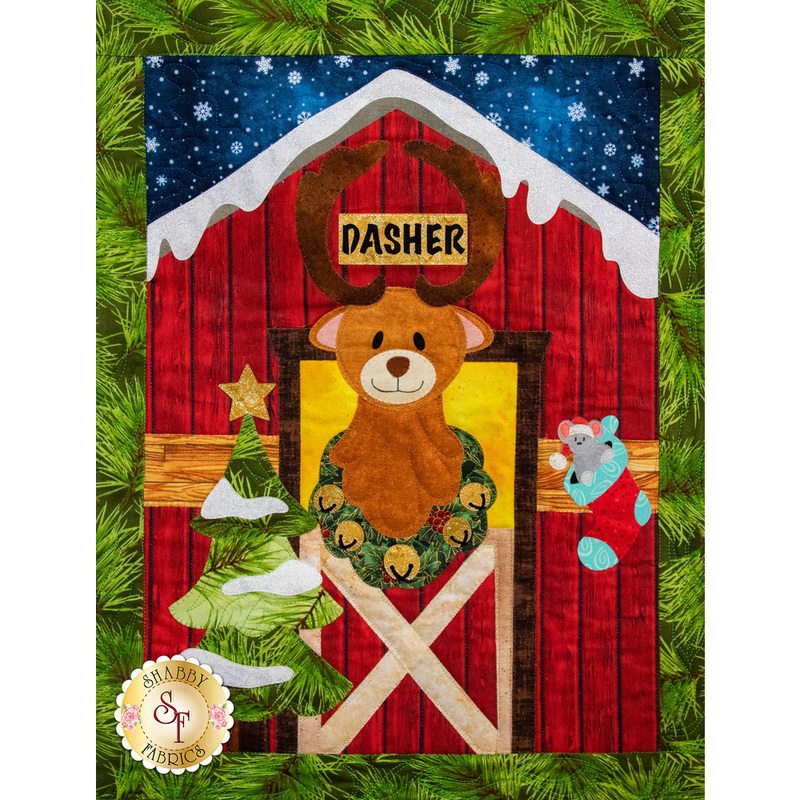 Celebrate the joy of the season with this Shabby Fabrics exclusive Christmas Block of the Month quilt! 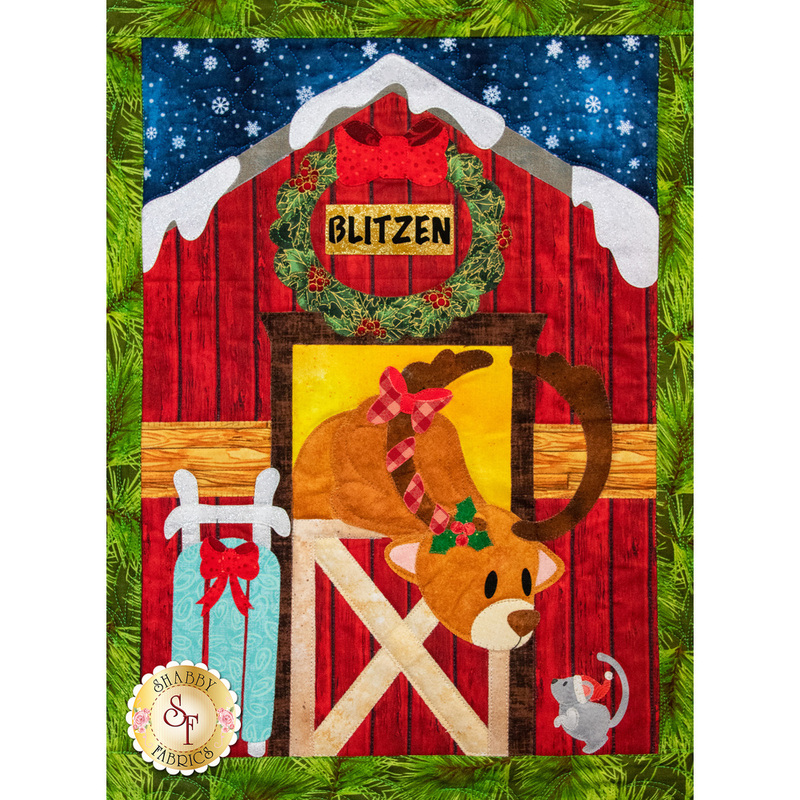 Our Block-of-the-Month Programs are a convenient, affordable, simple way to complete a quilt. We send you pre-fused and laser-cut pieces, so you don’t have to spend hours tracing and cutting. 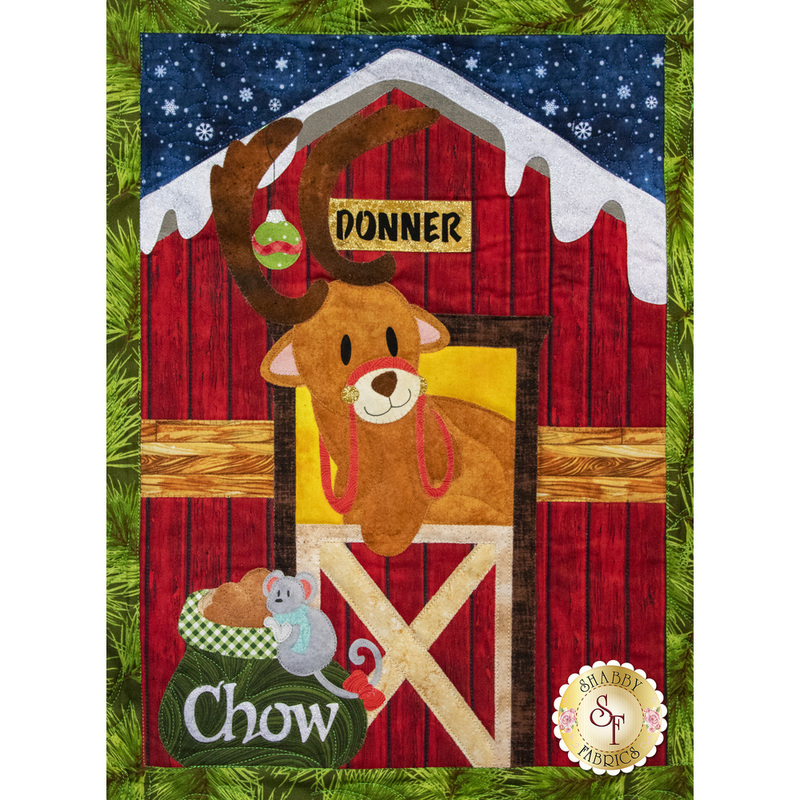 You can get right to the fun part – sewing! 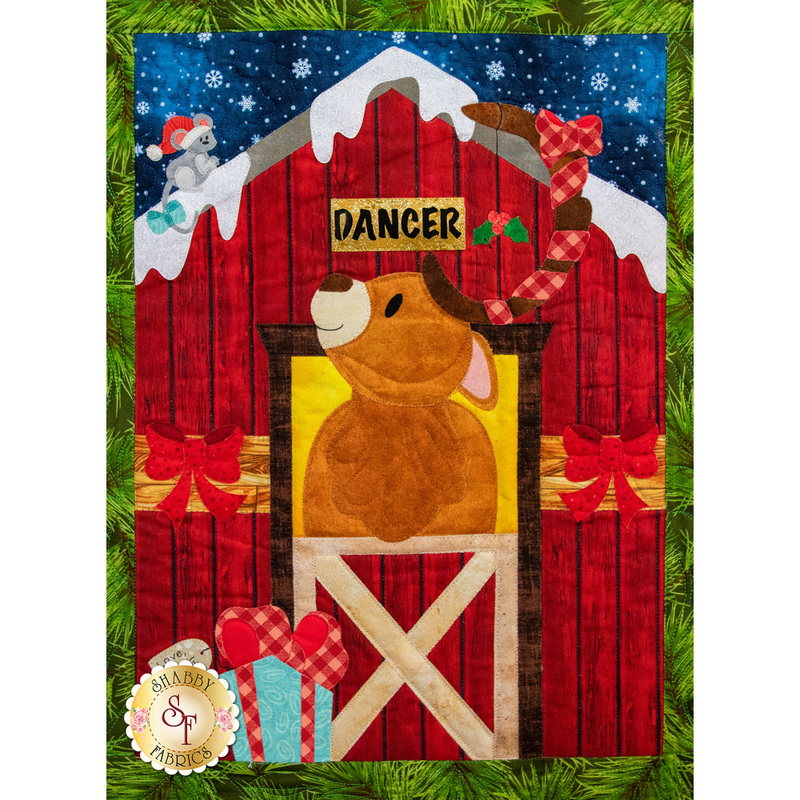 A coordinating backing is available in the options below. 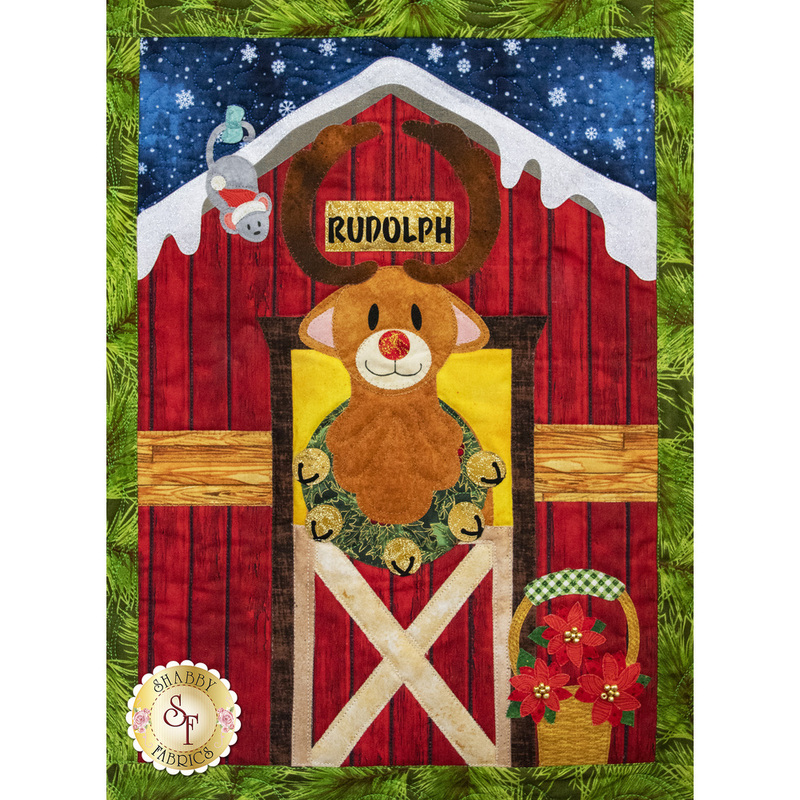 Finished Size: 50½" x 65½"
PLEASE NOTE: You will be charged for the prior months Blocks (to get you caught up with the program) when your order is processed by the BOM Department. 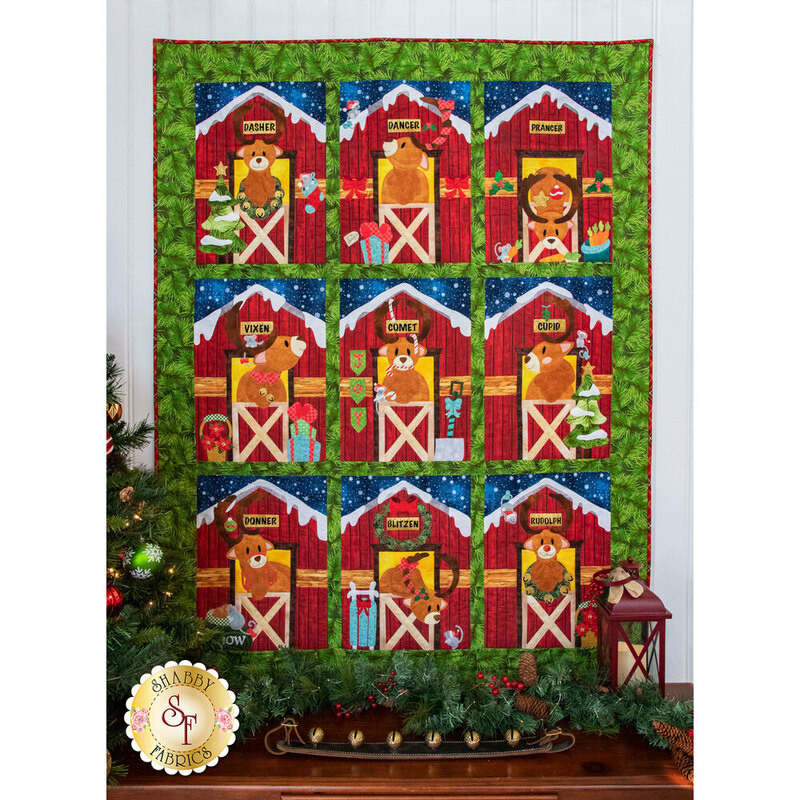 17pc Santa's Stable BOM Thread Set - Carefully selected and color coordinated Sulky 50 wt cotton thread to stitch down your appliqué pieces. 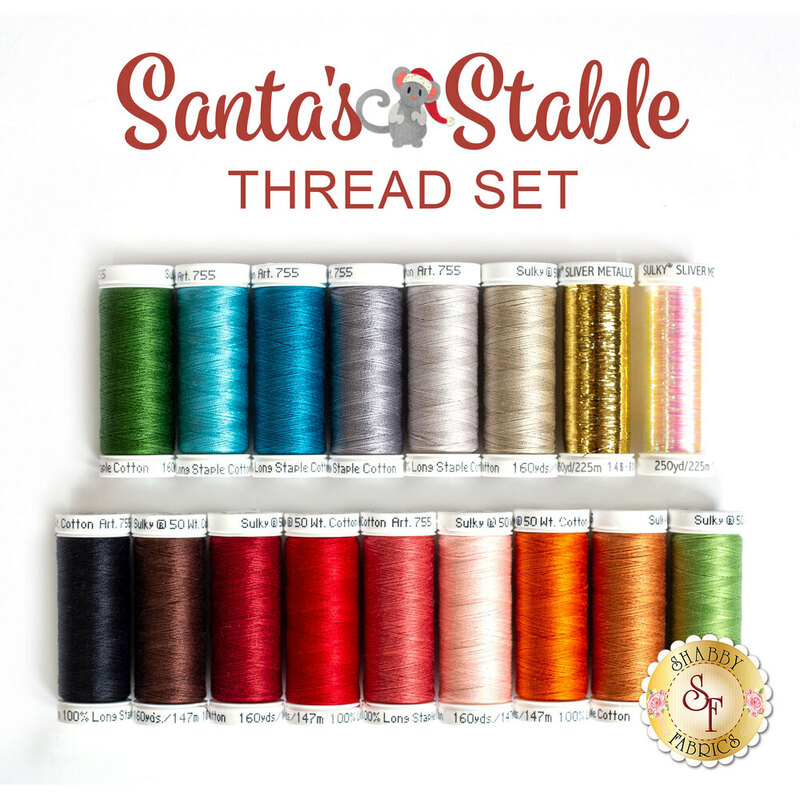 This thread set is $49.25. ($5.00 will be charged now with the balance of $44.25 being charged when the thread ships in February with Block 1). 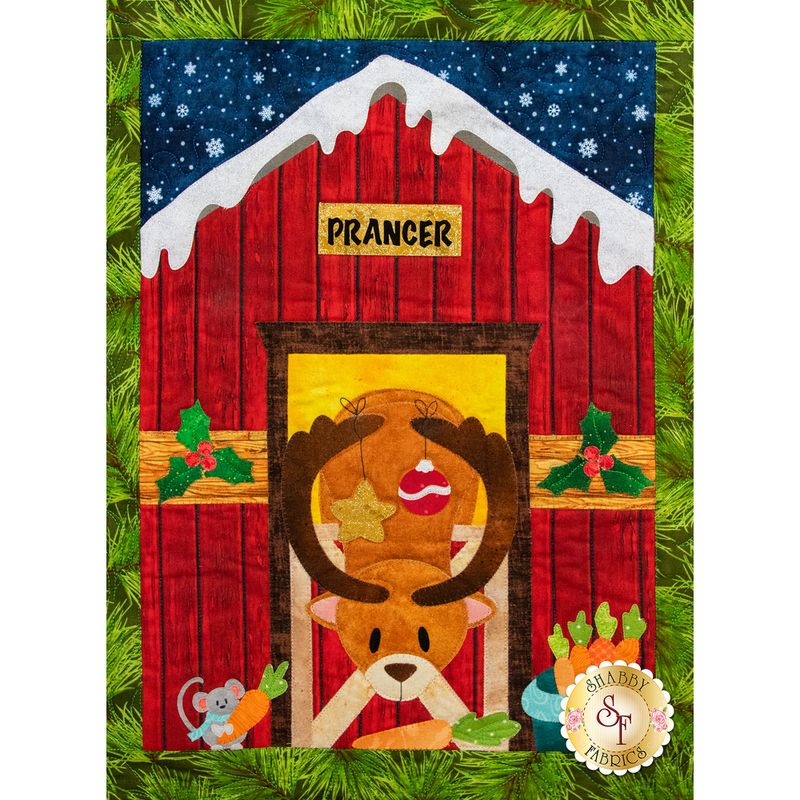 Wafer 2 Lightbox 12½" x 17" - Extremely helpful for placing applique shapes accurately and tracing embroidery lines. 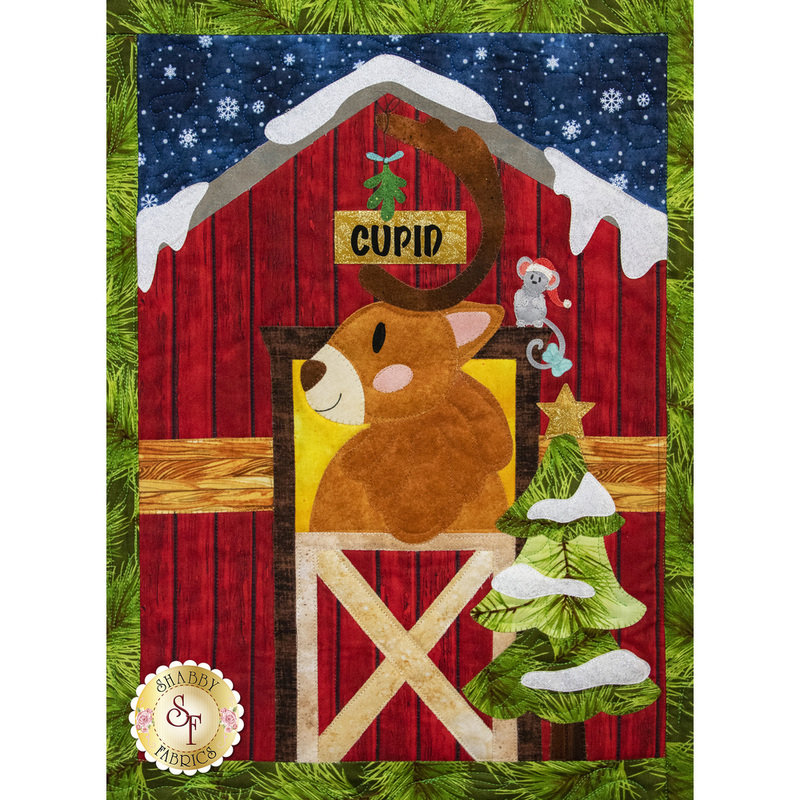 Applique Pressing Sheet - A must-have for assembling applique pieces. Schmetz Metallic Needles, size 90/14 - Must have for use with metallic thread. 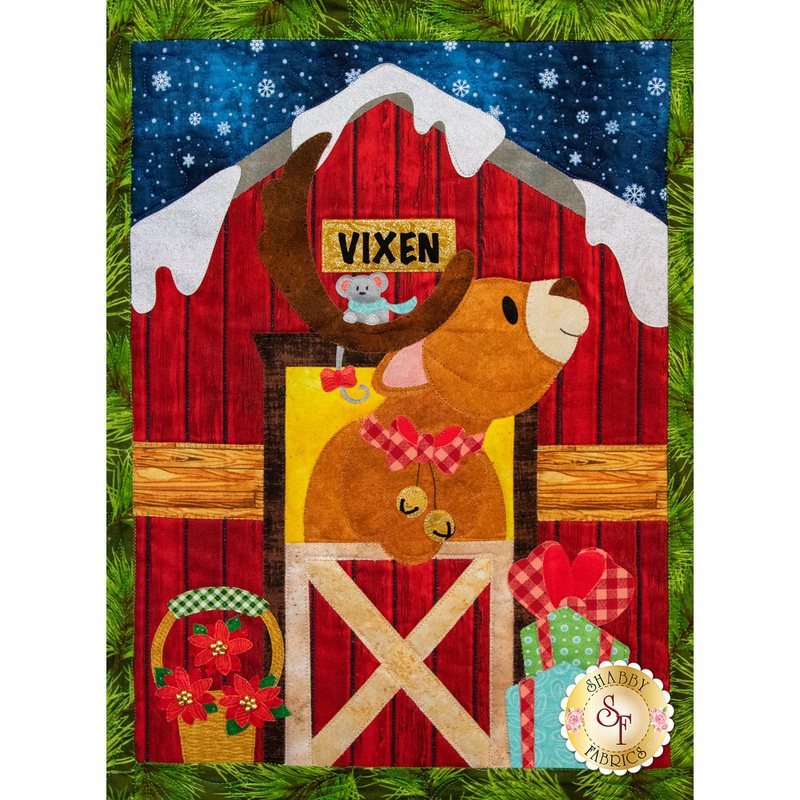 Frixion Pen - Very helpful for marking placement, sewing & embroidery lines on fabrics.